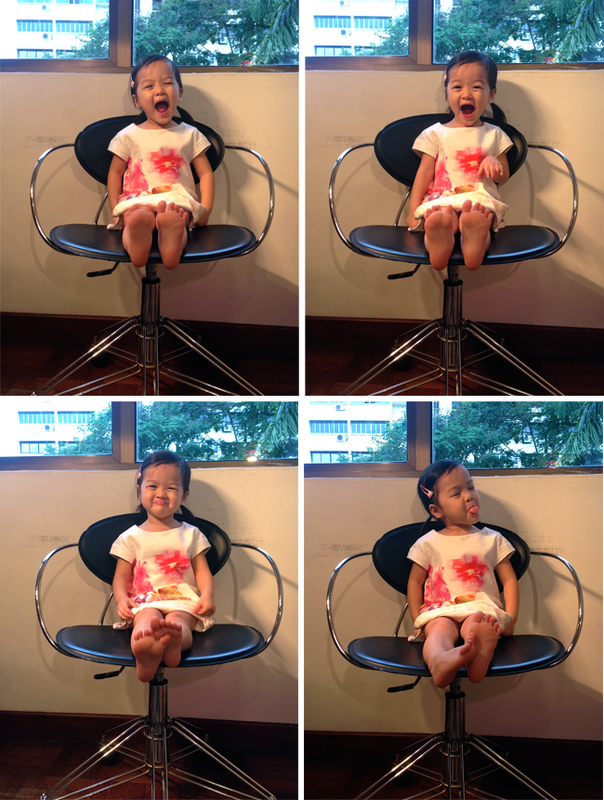 Hello Little Sunshine - Singapore Parenting and Lifestyle Blog: Kaitlin is 38 months old! 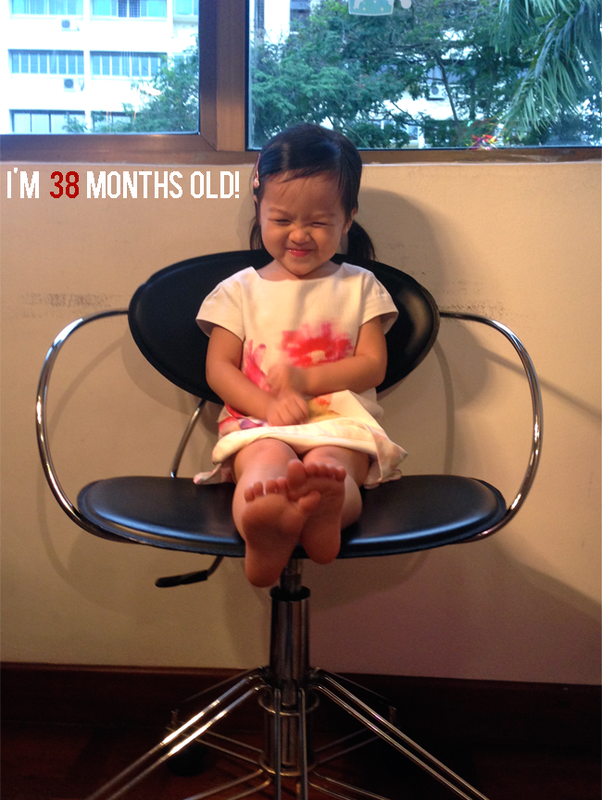 Kaitlin is 38 months old! I missed out on last month's milestone post :X Quite sad about that, but I'm back with milestones from the past two months :) Oh yes..to add on to me not posting last month's milestones..my camera decided to fail on me D: , so this month's photos are taken with my iPhone and hence the crappy quality. Quite sad about it but I can't possibly run out to get a new camera now can I? So better to have memories than not! Has been asking lots of "why's" and 'how's"
Sometimes she will add an 's' behind words even when it's not needed! She tried (bottled) juice for the first time too! I can totally see Kaitlin on her way to becoming like the Kindergarten kids in her school. 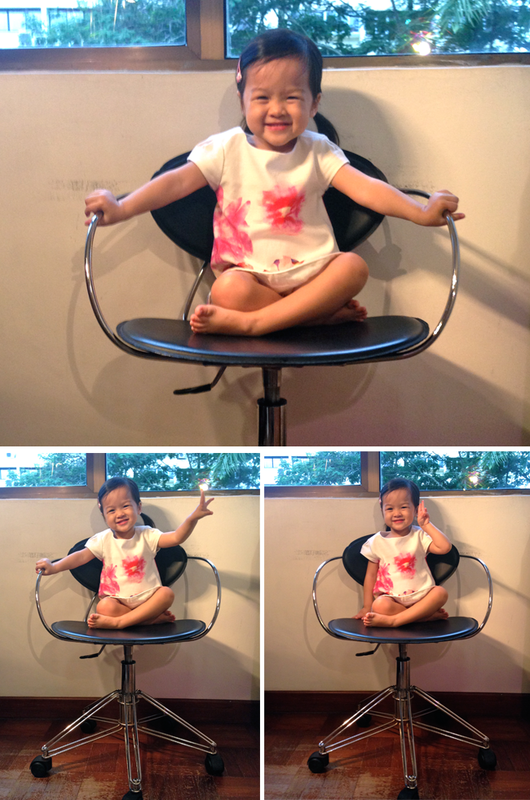 Vocal, social, able to think and solve problems and becoming more independent. 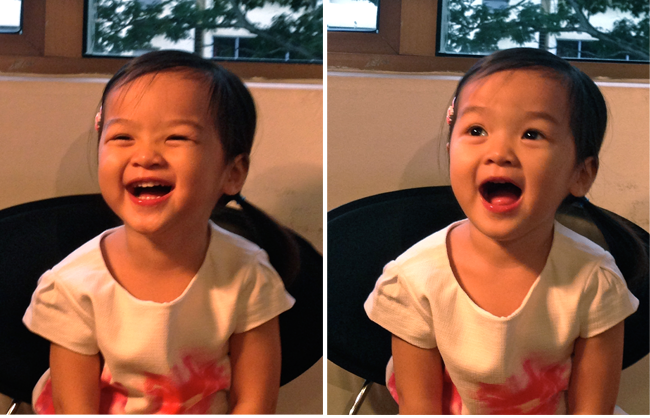 Of course I am happy that she's progressing so much, but I also miss my little baby so so much. I feel like as she grows I've to constantly take note of what I say as well as my actions as she picks them up pretty fast. I also feel like I've to think twice as to how I approach her and solve sticky situations like when she's misbehaving. It's going to be a crazy journey ahead I know for sure!